DEEP PURPLE What Now?! 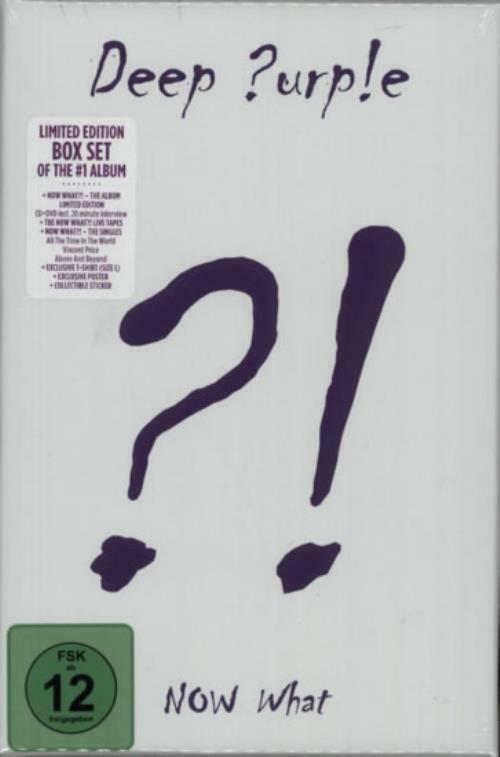 (2013 UK issue limited edition box set manufactured in Germany for the European market, comprising the limited CD/DVD edition of the album, The Now What?! Live Tapes CD featuring material recorded on the 2013 World Tour,maxi-CD singles for All The Time In The World, Vincent Price and Above And Beyond. Also includes an exclusive Large sized T-shirt, poster and sticker. All housed in a 5�" x 8" x 2�" hype stickered printed box).